Cash flow is the lifeblood of your business. 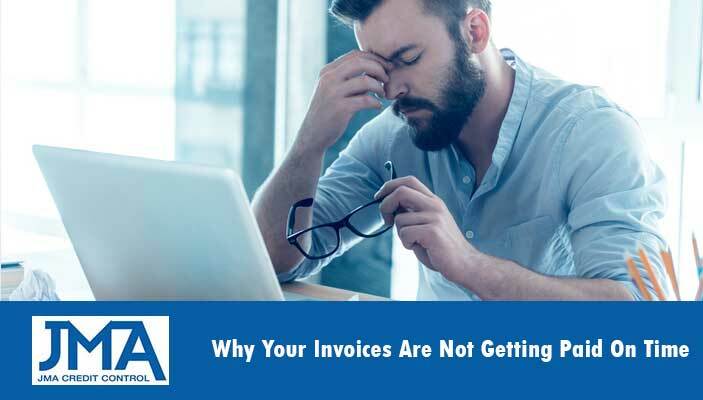 If you’re invoices are not paid on time you may stretch your working capital too thin and not be able to operate your business at full capacity (or at all) if you do not quickly address the reasons why this is happening. In this article we will look at the most common reasons why invoices are not paid on time and what you can do about it. Professionally drafted, legally binding terms of trade clearly communicate the terms of your business relationship with your customers. Before providing credit to any new customers they must read and sign your terms of trade so that there is no confusion about your policies. Are your credit terms too relaxed? Do you give credit to everyone without doing a proper credit history check? Do you immediately offer high credit limits to new customers? Giving credit is a privilege that customer must earn. Yes in some industries it is common practice but you need to do your due diligence before you jump into a new business relationship. The best course of action is to run a credit history check to get full details of your new customers financial history to make sure they pay their debts on time. If their credit report comes up clean then start with a low credit limit and short invoicing cycle, then you can relax your credit policies as you build trust with your new customer. Getting your invoices to customers quickly shows them that you are organised with your cash flow management. Also ensure that you send your invoices to the right person or people so there is no excuse that the accounts manager did not receive your invoice. Yes it’s important to be friendly and courteous to customers, but this doesn’t mean you can’t be firm and state exactly what is expected in return for your products or services. Invoices should clearly communicate the due date of payments and restate the consequences if payment is made late. If the quality of your products or services starts to slip, or you do not deliver when you say you will then your customers may believe that they don’t have to pay your invoices on time. Not only is this a sure fire way to lose customers and hurt your business but you give customers a reasonable excuse not to pay on time. So if you have noticed a rise in complaints and overdue accounts look at the quality of your products and services first. There are many more ways to get paid but if you can cover the above forms there should be no excuse why a customer can’t make prompt payment. Building string customer relationships is simply good business practice, but has major repercussions on where in line your invoice gets paid as well. By having personal one-to-one communication with your customers (even if your business is all online) you will get your invoices paid before a supplier or business with whom a customer has had not direct communication. A regular phone call, friendly emails and generally building a strong working relationship will make your customer more committed to paying your invoices on time. Quickly following up on overdue invoices is crucial if you want to let your customers know that late payment will not be tolerated. Be friendly and courteous, as you don’t want to harm the relationship, but giving them a quick call they a day or two after a payment is classes as late will show them you are organised and managing your accounts receivables carefully. If your initial attempts to chase up an overdue account are not successful then hiring a quality debt collection agency to follow up with the debtor will save you time and give you much better odds of getting paid quickly and in full. Sometimes a customer hits financial hard times and simply cannot pay your invoices. This is why you want to closely monitor the financial health of your customers so you can take action to protect your business. Regular credit checks will keep you informed of any underlying problems so you can lower your credit limit or demand that all accounts be paid on delivery until they can prove that they can pay your invoices. When you take out a credit insurance policy to protect you against unpaid accounts, your policyholder will often provide regular reports on the financial health of your customers so you can adjust your trade terms accordingly. By following the above best practices you’ll ensure your invoices are paid on time and that your business cash flow is always protected.